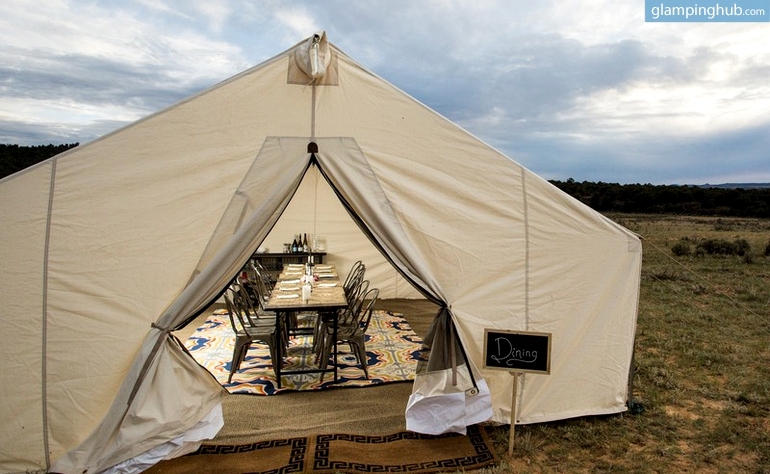 Skip New York City and head straight to Upstate New York to enjoy some of the best glamping getaways in the U.S. We know that Times Square and Broadway can be very appealing, but there is a certain freedom that you will only feel when you step out into the open wilderness and spend some time in the outdoors. Leave your watch behind because the whole point of these nature retreats is to lose track of time and be rejuvenated by the soothing settings of these locations. We’ve compiled a list of the best Upstate New York getaways so you can make sure that you are staying somewhere with character, charm, and a phenomenal location. 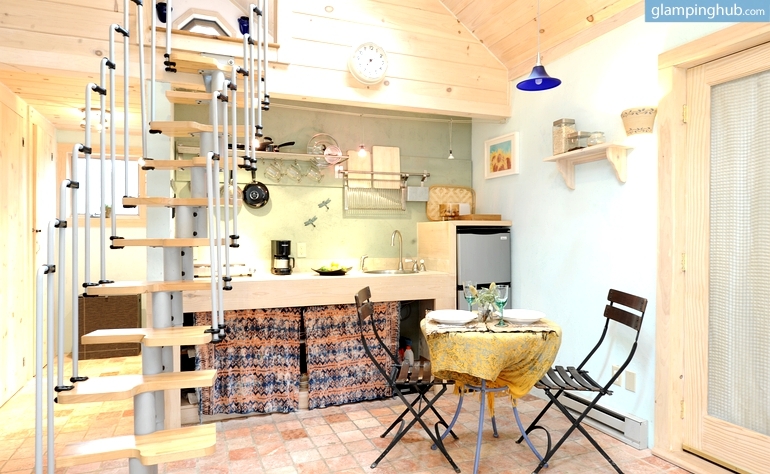 First on the list are cottages—these quaint vacation rentals have a rustic allure that is only magnified by their natural surroundings. Usually made of stone or brick, they are an inviting place to spend the night and often have delightful features such as wood-burning fireplaces and claw-foot bathtubs. They are tucked away in breathtaking wilderness, which will make you feel like you are living in a storybook. This serene cottage in Woodstock has a fresh, contemporary interior that retains a wonderfully cozy atmosphere. This historic cottage in the Adirondack Mountains has been lovingly restored to include modern amenities alongside its more traditional features. These luxurious cottages in Milton are great for both couples and families who are looking to get away for a weekend in Hudson Valley. Often having skylights that let you stargaze from the comfort of your bed, how can you not fall in love with the idea of sleeping in a yurt? A yurt getaway in Upstate New York provides you with everything you need to soak in the outdoors without having to endure the harsh elements. These luxury accommodations are expertly designed to provide the ultimate comfort, and their natural surroundings aren’t bad either. 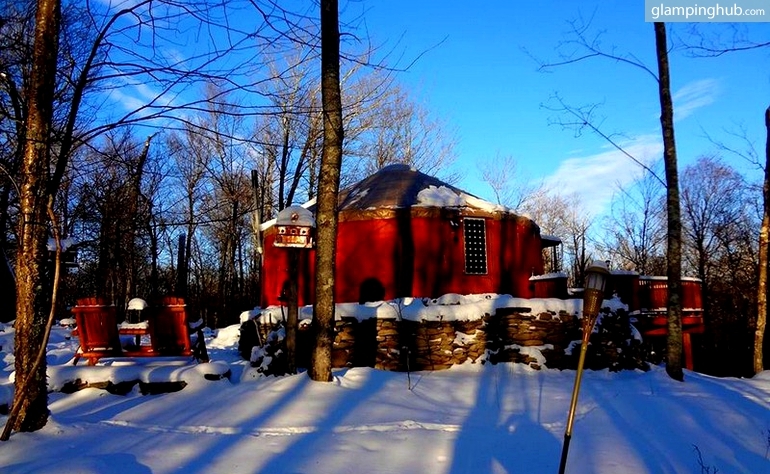 This rustic yurt in Willowemoc Wild Forest is pleasantly secluded and gives you easy access to the Catskill Mountains. This countryside yurt in Waterville is located on a private, 80-acre estate that you are free to explore to your heart’s content. This solar-powered yurt in Hudson Valley is situated on a delightful horse farm, and it even has a hot tub! When you wake up and open the canvas doors of your luxury tent, you will be hit by the beauty of the nature that is right at your doorstep. Tents are a popular choice for those who enjoy feeling at one with nature but don’t necessarily want to pitch a tent every time they go camping. With cozy and luxurious elements inside, there is no reason why you wouldn’t want to stay in one during your Upstate New York Getaway. These all-inclusive tents in Woodstock are tucked away in the Catskill Mountains and have a private chef on site. These lovely canvas cabins in North River are furnished with antiques, which gives them an irresistibly romantic vibe. These rustic tented cabins in Chestertown are ideally located to allow to enjoy the best of the Adirondacks. If you can’t get enough of Upstate New York, check out our collections of pet-friendly cabins and family-friendly rentals outside of NYC. You can also go luxury camping in the Catskills or wine tasting in the Finger Lakes region. For all the information you need in one place, our Upstate New York getaways page is the perfect resource. We promise that you’ll find a getaway that is just right for you.